Louis Comfort Tiffany developed innovative and stunning designs for stained glass windows. This set features Jesus and the four evangelists, with verses from each of the four gospels. 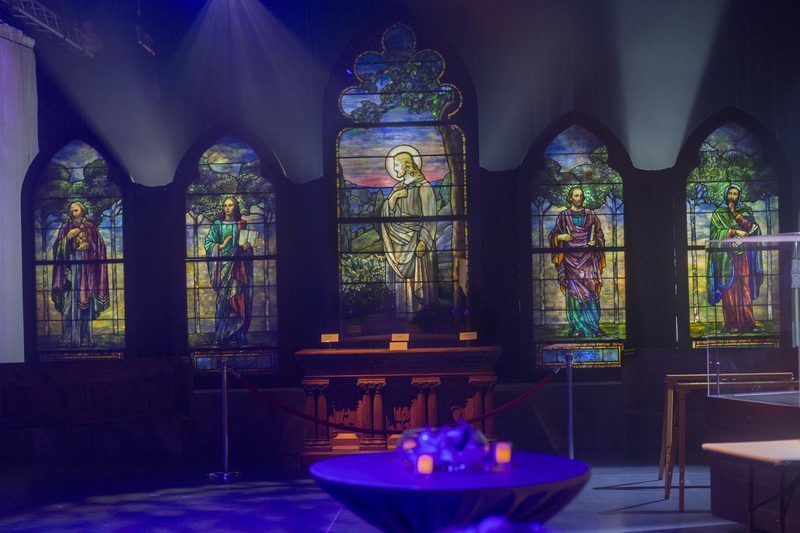 These beautiful windows were once on display in Church of the Epiphany in Orange, New Jersey.